This presumptuous title was first suggested as a challenge, followed by an offer that I could not refuse. So, while there is no magic formula for making breakthroughs in any field, it is possible to glean some useful pointers from past experiences. Several factors come into play, technology being only one of them. The talk will examine these via a review of several case histories. Thomas Kailath (B.E., Pune, 1956; Sc.D., MIT, 1961) has been at Stanford University since 1963, where he is now Hitachi America Professor of Engineering, Emeritus. His research has ranged over several fields of engineering and mathematics, resulting in over 300 journal papers, a dozen patents, and the co-founding of several high-technology companies. In these varied efforts, he has been aided by a stellar array of over a hundred doctoral and postdoctoral scholars. Among his numerous honors are the US National Medal of Science “for transformative contributions to the fields of information and system science, for distinctive and sustained mentoring of young scholars, and for translation of scientific ideas into entrepreneurial ventures that have had a significant impact on industry,” the IEEE Medal of Honor, the Simon Ramo Award of the US National Academy of Engineering, the Lifetime Achievement Award of the Marconi Society, and the Padma Bhushan from the President of India. 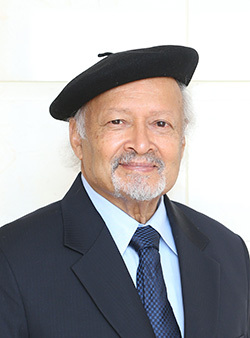 He is a Fellow of the IEEE, the Institute of Mathematical Statistics, the Society for Industrial and Applied Mathematics, and the American Mathematical Society; a member of the US National Academy of Engineering, the US National Academy of Sciences, the American Academy of Arts and Sciences and a Foreign Member of the Indian National Academies of Engineering and of Sciences, the Royal Society of London and the Royal Spanish Academy of Engineering. He has received several honorary degrees, most recently from the Technion in Israel and the National Technical University of Athens, and he has held Guggenheim, Churchill and Humboldt Fellowships.